One thing I cannot afford to miss at any cost is the Indiblogger meets. 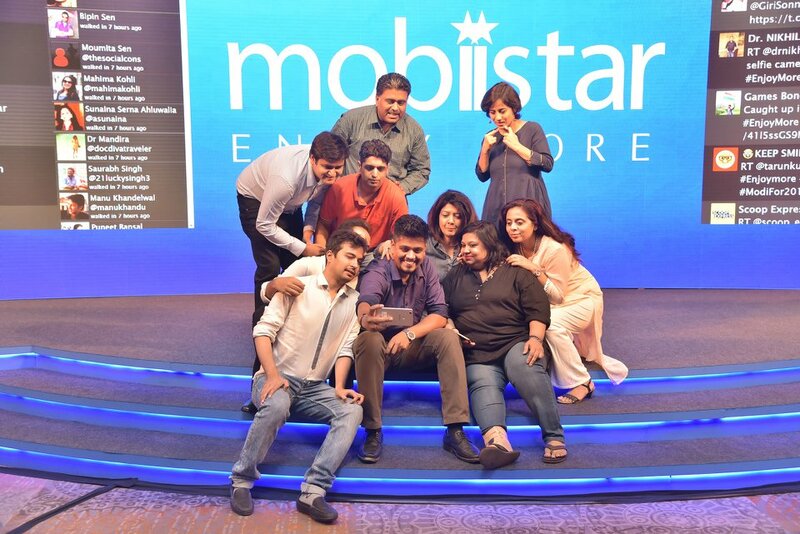 It is like a family reunion for all the bunch of bloggers and close friends. 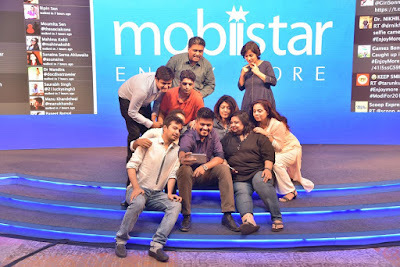 My experience at Indiblogger meet always turns into full of joy and happiness. I have met with so many other bloggers and had a great time with them in each of such Indi meets. 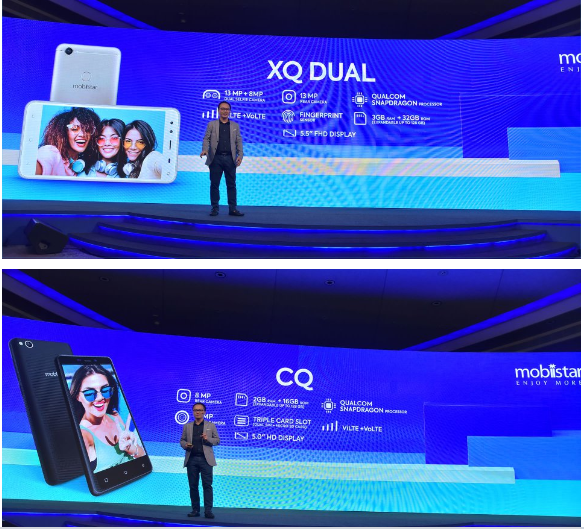 This time Indiblogger meet was held at one of the best hotel Hyatt Regency Delhi on May 23, 2018.This meet was to celebrate the entry of one of famous Vietnam based popular Smartphone brand Mobiistar and launch of their selfie smart phones CQ and XQ dual. 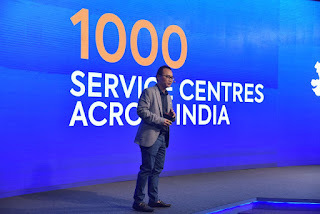 I missed Anoop from Indiblogger but our moderator Karthik from the Inditeam made the event full of fun and excitement as always. 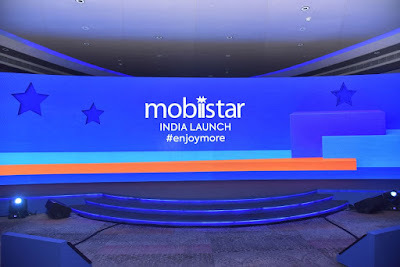 I also really appreciate the way event was hosted by Shobha Rana and she knows it well to keep us on our toes by giving opportunity to bloggers to tweet for Mobiistar twitter contest plus entertaining and engaging with bloggers. The bloggers being social were very enthusiastic about the Indimeet and left no stone unturned to make the hashtag #EnjoyMore trending on twitter with their pictures and tweets. 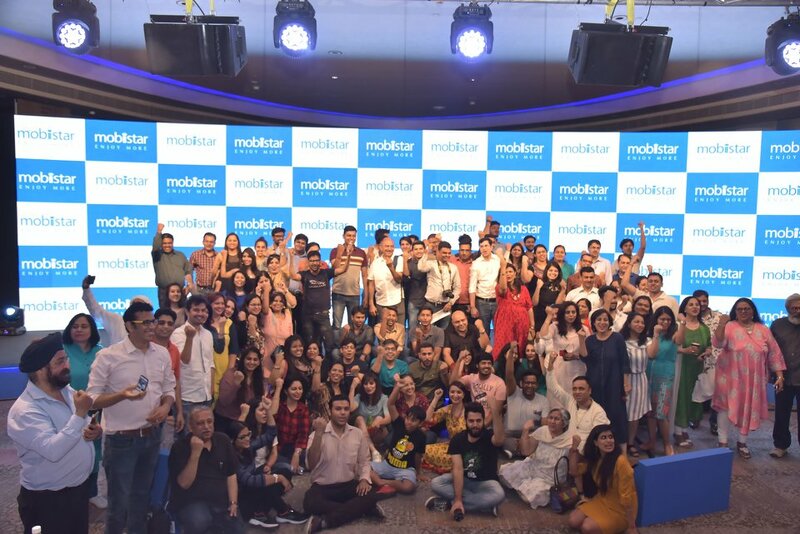 There was Instagram and twitter contest online for bloggers where they had a chance to win prizes by posting selfie with maximum people in the frame and gather maximum post. 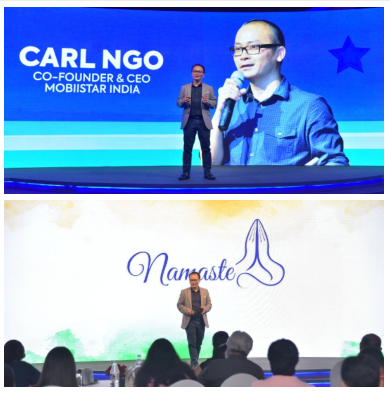 Mr Carl Ngo, CEO and Co-founder of Mobiistar was very smart who told us from A to Z about Mobiistar brand.He kept it simple,authentic and detailed view about their vision and mission in India related to Mobiistar and their way of working.It was amazing to see him saying Namaste to all and trying to follow Indian culture tradition. He further told us about Mobiistar which was established in 2009 and with main USP of selfie focused smartphones and their brand motto is to 'Enjoy More'. 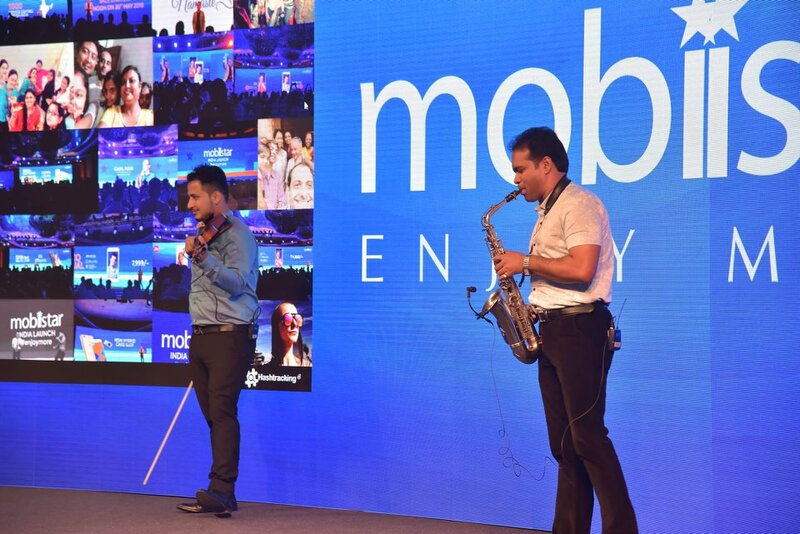 Their decision to tap the Indian market is seen as a big competition to other Indian and Chinese mobile brands in the market.It was impressive to know that Mobiistar has been awarded as "Most Impressive Smartphone brand" in Vietnam and has large number of social fans on Facebook. 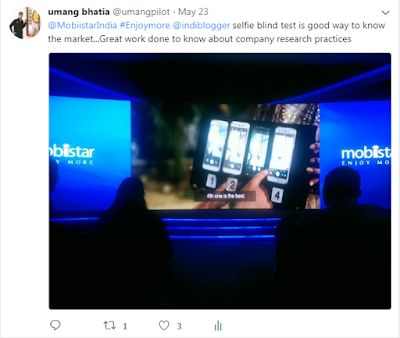 Some of the good points are that company has invested their time in doing market research and has tried to understand the consumer needs and likes through blind camera test before launching their phone in country like India. 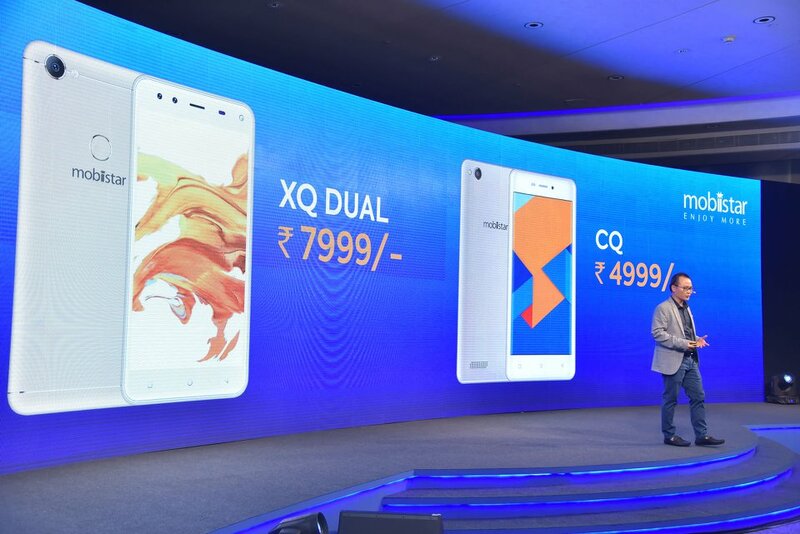 It is powered by 1.4GHz octa-core processor with 3GB of RAM. The phone has 32GB of internal storage with 128GB expansion with microSD card. 13-megapixel Dual Selfie camera that captures a 120° wide-angle shot. It runs on Android 7.1.2 with 3000mAh Battery. Dual sim phone and sleek in nature. 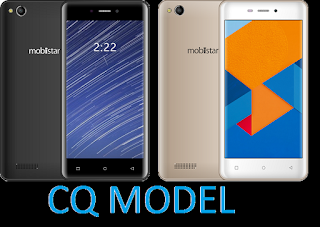 It is powered by quad-core with 2GB RAM and 16GB internal storage with expansion option to 128GB using microSD card. The Mobiistar CQ is a dual SIM phone and 5 inch HD display. 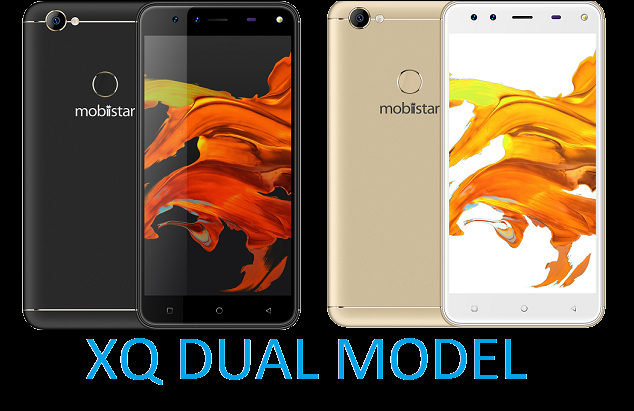 It uses Android 7.1.2 platform and battery power is 3000mAh. Mobiistar has taken a broad step in order to penetrate Indian market by partnering with Flipkart for sales of their smartphones online on 30th May,2018.They have priced the products so that they are within common man reach and offer the best features.It was quite surprising to know that such awesome devices like XQ DUAL is available for Rs 7999 and CQ for Rs 4999 only.You can also exchange your old device and get further discount plus offers like complete mobile protection. Another point to buy this phone is that Jio Digital has tied with them and you can avail instant cashback of Rs 2200 which is one offer you cannot afford to miss at any cost.The company has also tried to strengthen customer services with 1000 service centers all over India. 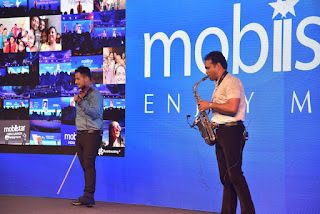 After the Karl session, we had a chance to listen to some awesome music being played in the auditorium by the talented musicians and get hands on the device in the demonstration section.It was good to feel the device and I found it up to the mark as compared to other phone in the same price segment. 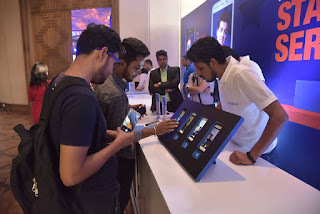 It was nice to explore the devices and then we had opportunity to interact with other blogger over tea and coffee.I found Hyatt Regency hall room very regal plus the snacks were delicious and especially it was enough to meet up with the largest number of bloggers who had come for the meet.We were then given a small task of selfie type contest with Enjoy More as main theme .We all were divided into various groups and had to make up a story with selfies using the Mobiistar phone.My team members were very supportive and we took many selfies in different expression within the time frame of twenty minutes.This was nice activity as I met new bloggers and shared my blog details with them. 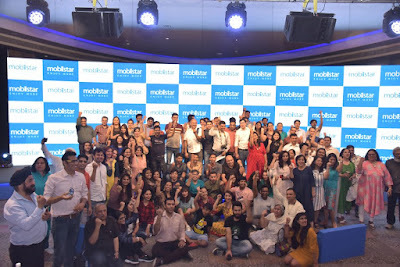 This enriching experience at the Indiblogger Mobiistar meet was concluded by selfie and group photograph sessions.It was one of the bigger congregation of Indibloggers who were trying to get into the frame and have a group selfie.In the end we all bloggers were given yummy pastires and Mobiistar pen drive as momento. 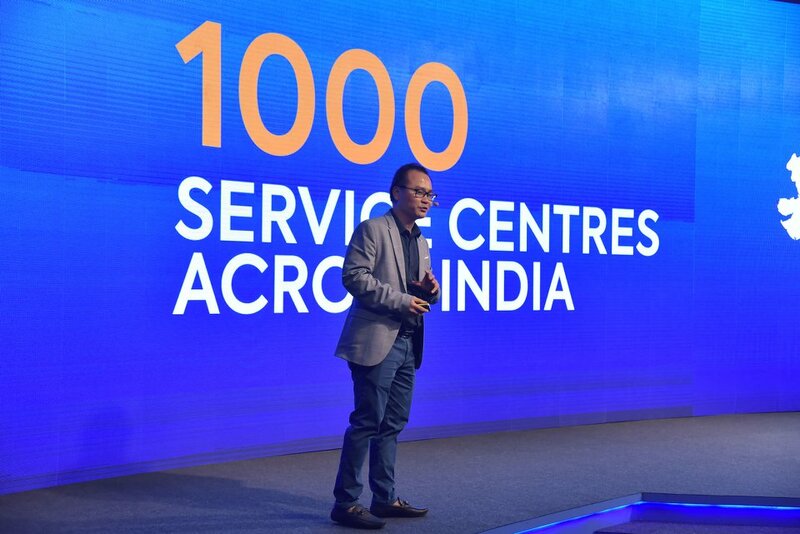 I am happy to be part of this event and look forward to more in coming months.Thanks Indiblogger for great memories.